DESCRIPTION The Matte Grey Sanders Stripe polo offers lightweight comfort and breathability to help keep the skin ventilated. 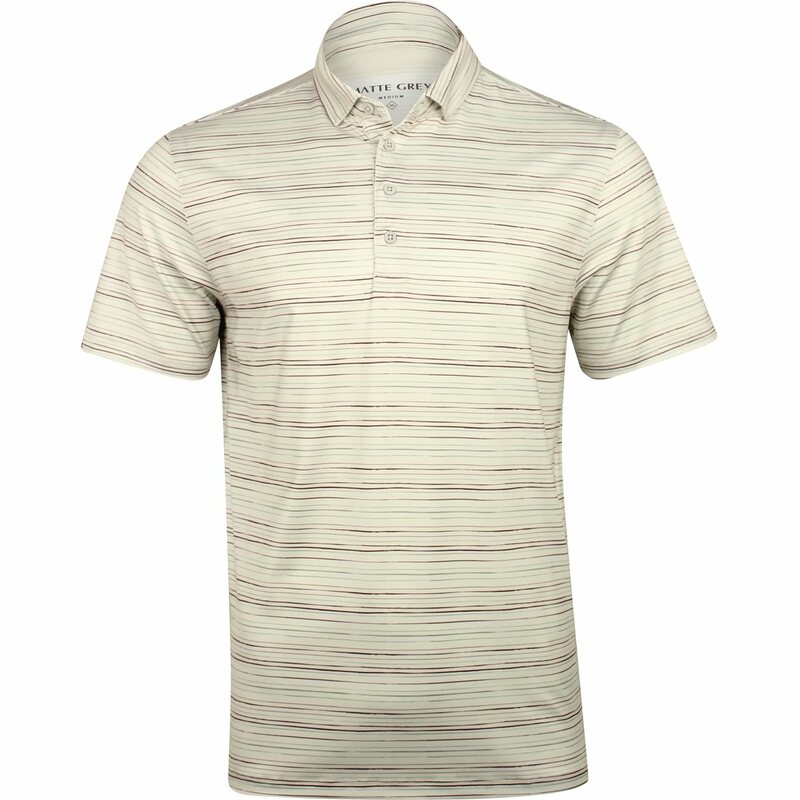 The fabric wicks moisture from the skin so you can stay dry when sweating occurs. 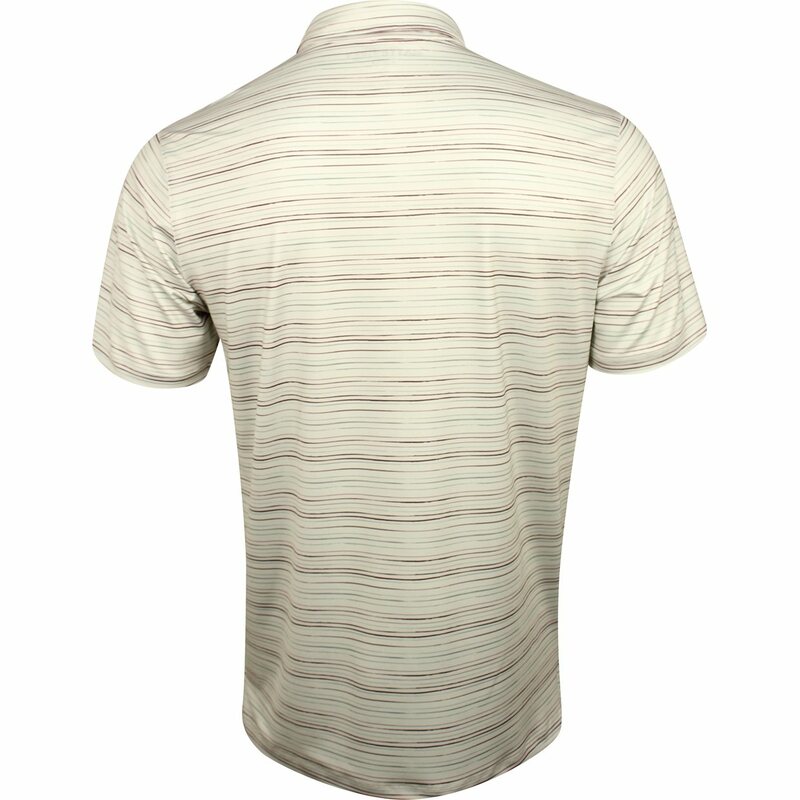 The fabric also provides stretch for a comfortable fit and movement with ease. 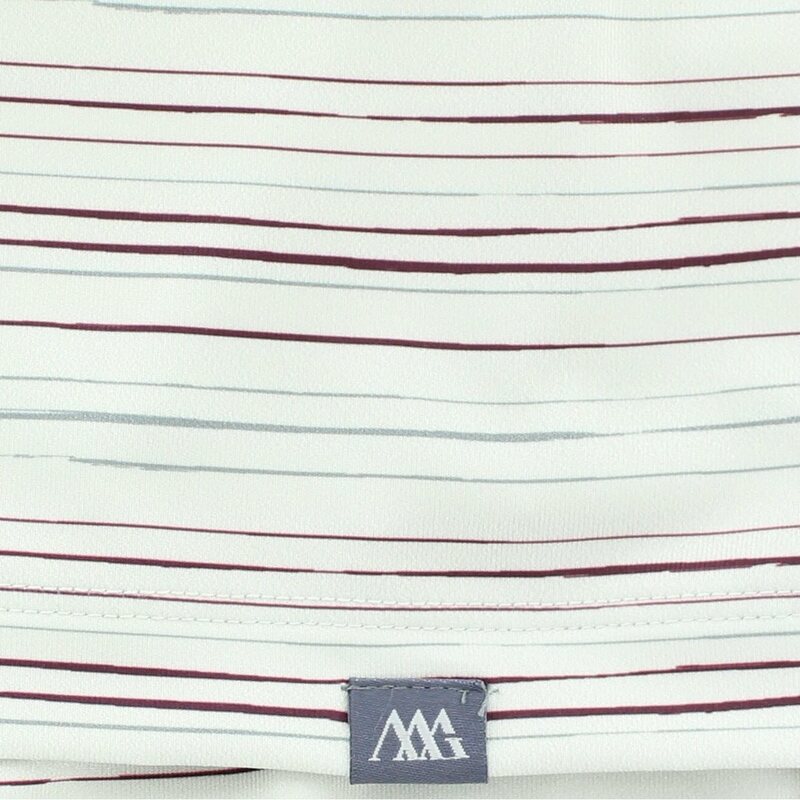 Design details include a contemporary stripe repeat print, a mini MG label sewn on the right sleeve, a reduced-angle collar and a 4 button slender placket.